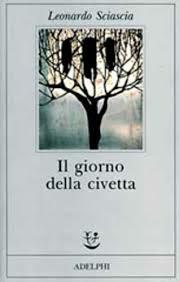 Our bookclub continues with Leonardo Sciascia’s masterpiece Il giorno della civetta on 31 May at Calabrisella’s at 8.30. Mixed language abilities welcome. This event is free but seats are limited so book in advance to avoid disappointment. This entry was posted in Events, News and tagged bookclub, Italian Cultural Centre. Bookmark the permalink.